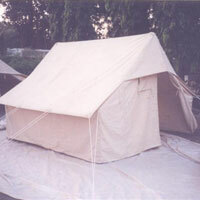 Family Tents Manufacturer in Delhi, Family Tents Supplier in Delhi, Family Tents in Delhi. Family Tents in Delhi,Family Tent Manufacturers in Delhi,Family Tent Suppliers in Delhi. Among the Leader, we have a wide range of Family Tents.These Tents are primarily used for Family camps or Family Shelters, These Family Tents are used for sudden causalities. Family Tents are designed as a mini for health care centres. These types of tents are application are in Big & Small Hospitals, military camps, & for NGOs. Family Tents are also in demand by UN agencies.